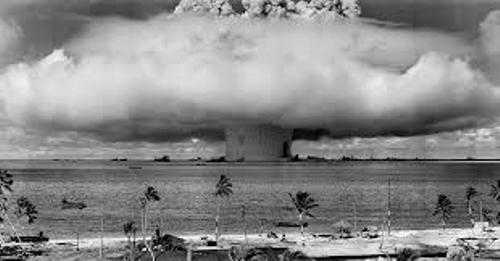 The Castle Bravo nuclear device was very big and large. 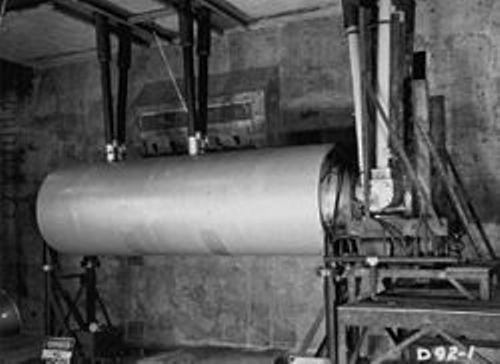 Do you know that the cylinder of the device had the weight at 23,500 pounds of 10.7 tons? The diameter is 1.37 meters or 53.9 inches. It has the length at 4.56 meter or 179.5 inches. The test was located one a reef located off Namu Island in the area of Bikini Atoll. Actually it was an artificial island built for this explosion test. The device was mounted on that reef. There are various high speed cameras to capture the important explosive moments. Castle Bravo was designed by Ben Diven. He was the project engineer who made the bomb on 24th February 1954. It was only created in 1 piece by the manufacturer, Los Alamos National Laboratory. The bomb design is in Shrimp with the type of Teller-Ulam design Thermonuclear weapon. Let’s find out the explosion of Castle Bravo. It was denoted on 1 March 1954 at 06:45. With a second, there was a fireball which could be seen in 7 km across when the boom was denoted. The people who lived on Kwajalein atoll in the radius of 400 km or 250 miles saw the fireball clearly. This bomb was very enormous for it created a crater with the death at 76 meter or 250 feet with the diameter of 2,000 meter or 6,500 feet. The denotation of Castle Castrol also produced the thick mushroom cloud that can reach the height at 14,000 meter with the diameter at 11 km in only one minute. In less than 10 minutes, the mushroom could reach the diameter at 100 km and height at 40 km. 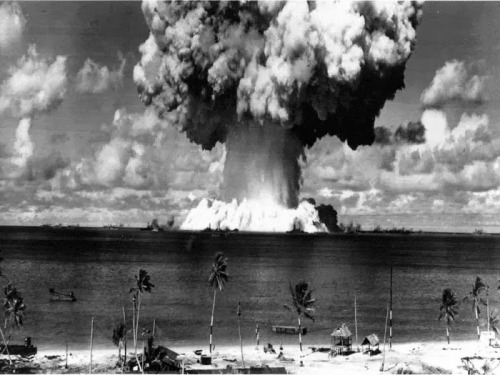 The air in the nearby island such as Utirik, Rongelap and Rongerik was infected with the mushroom cloud. 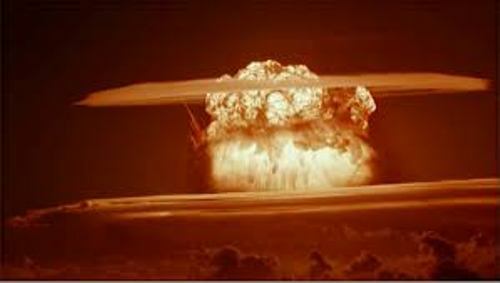 Do you want to say something about the largest above ground nuclear test in the world?